Last year, at the WrestleMania 33, Jeff Hardy returned to the WWE ring along with his brother Matt Hardy in a Tag Team Ladder match where he captured the Raw Tag Team Titles. Jeff continued to enjoy his title reign as the Raw Tag Team Champion but at the Extreme Rules pay-per-view, he lost the title in a Steel Cage match against The Bar. This year, at the 2018 Superstar Shake-up, he was traded to the Smackdown Live brand where he defeated Jinder Mahal to win the US Championship. However, at the Extreme Rules pay-per-view, he lost the title against Shinsuke Nakamura in just 6 seconds and later got attacked by 'The Viper' Randy Orton. Since then, he is feuding with Orton and currently scheduled to face him at the Hell In A Cell pay-per-view. While speaking with the In This Corner Podcast, he revealed that he wants to face Finn Balor in a singles match before his retirement where Balor would come as The Demon. He also said that he believes the WWE Universe will enjoy this moment with him. Hell In A Cell pay-per-view is just a few days away where we will see Roman Reigns vs Braun strowman for the Universal Championship as the main event match. Jeff Hardy is also going to face Randy Orton in the Hell In A Cell and this will be the first for him to face someone inside the Steel Structure, so we can expect many high flying moves from the former World Champion. 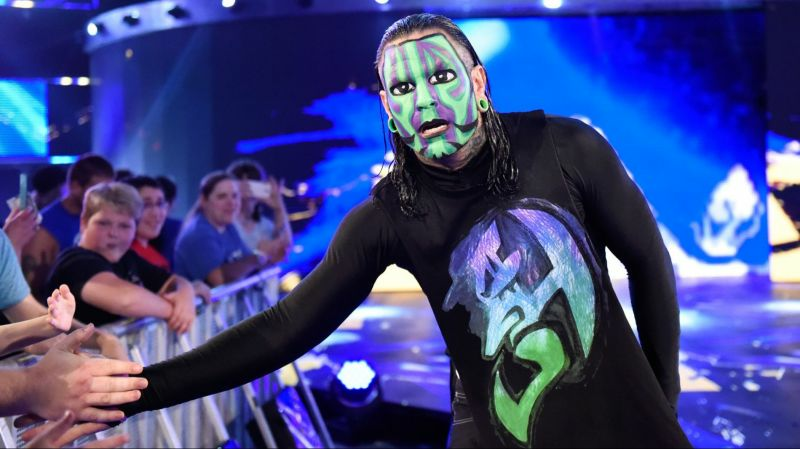 Do you think we will see a match between Jeff Hardy and Finn Balor? Have your say in the comments below. 5 Surprises that could happen at the WWE Superstar Shake Up: Champions change brands?